Cheese balls are a quick and easy appetizer anytime of year. I love that you can make them ahead of time and freeze them. One of my favorites is this Curry Cheese ball recipe we have been making for years. However, there tends to be a lot of waste when you make a large cheese ball and you really can’t put it together and serve it the next day. 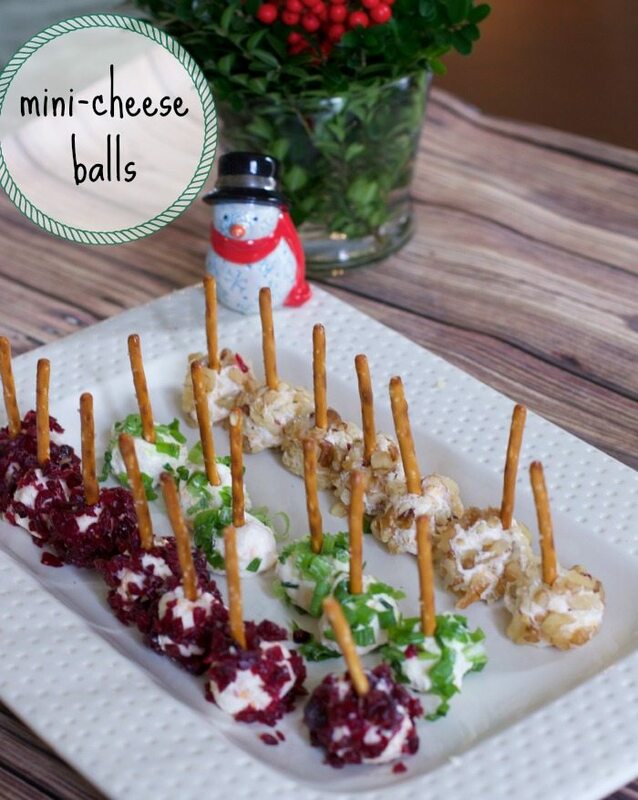 I am so excited to share these mini cheese balls that can also be made and frozen ahead of time. 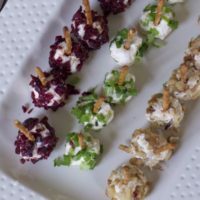 They are simple one bite appetizers that were gone long before the party ended. I was not sure how they would taste, so I made a half recipe, which made 21 small cheese balls. These were gone so quickly I wish I would have made more. Start with softened cream cheese. If you are in a hurry, you can place a block on a plate and microwave for about 30 seconds or until softened. Place all your ingredients in a bowl and using a mixer, I find this the easiest, mix all your ingredients until well mixed. Using a small Ice Cream Scoop , much easier than a melon baller, to scoop out even balls. Even if you are making these for immediate use, I would place them on a piece of parchment paper on a cookie sheet and place in the fridge for at least 2 hours. If you are freezing these, allow the mini cheese balls to freeze on the cookie sheet then transfer them to a freezer Ziploc Bag. (Take them out the night before and put them in the fridge to defrost. se colors are great for the holidays but dried apricots would be good too.) I rolled the nuts and cranberries the night before I needed them but waited for the green onions until right before. 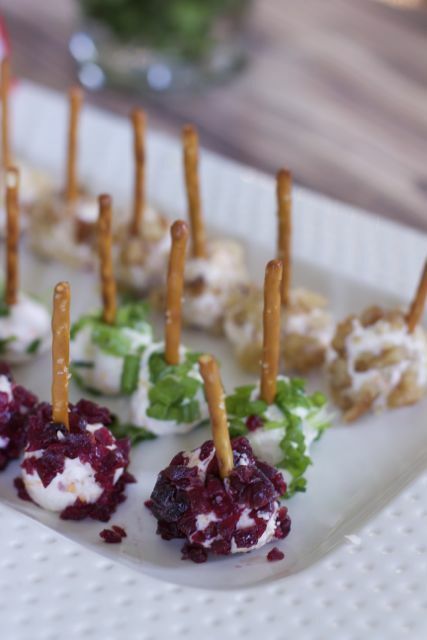 Place your cheese balls onto a platter and insert a pretzel stick. 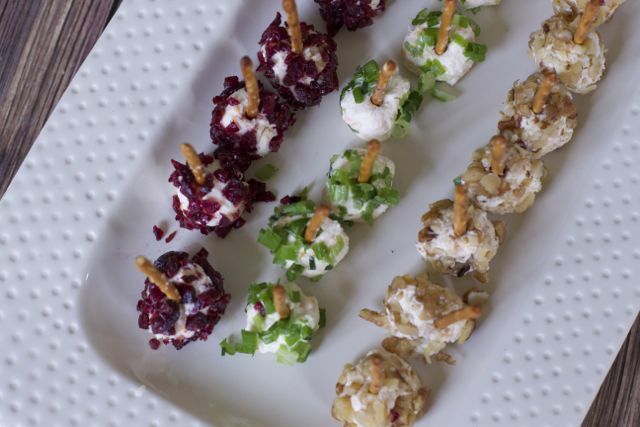 Not only do you have a flavorful appetizer but also a very festive platter. You can make a large batch and keep them in the freezer for surprised guests. They would just have to thaw about an hour. As long as you have nuts and dried fruit on hand, you can roll them in something delicious. If you don’t have pretzel sticks, you could also serve them on top of a small cracker. A simple cheese ball recipe that can be made ahead and frozen. Great entertaining food. Mix all ingredients of the cheese ball in a bowl. I find using a mixer works them best. Mix until blended well. 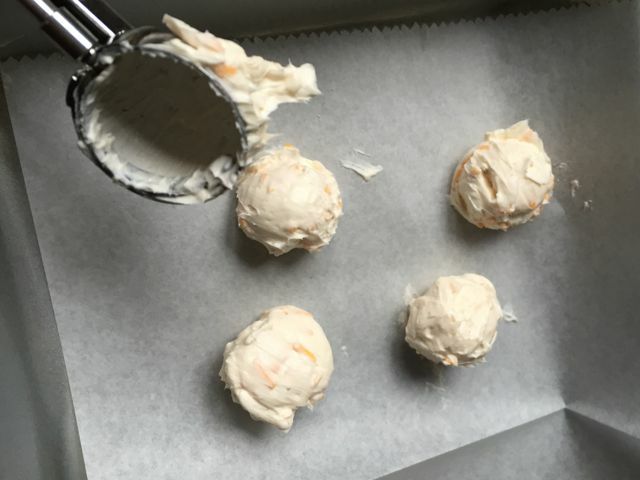 Using a small ice cream scoop, scoop out little cheese balls and place on parchment lined cookie sheet. Place in fridge for at least 2 hours. Take out while chopping toppings. Roll each ball into the topping and place on a platter. Insert the pretzel stick into the ball and serve right away. What would you roll these delicious and easy mini cheese balls into?